Unsuspecting landowners in the North East foot the bill for criminals who illegally dump large amounts of waste. 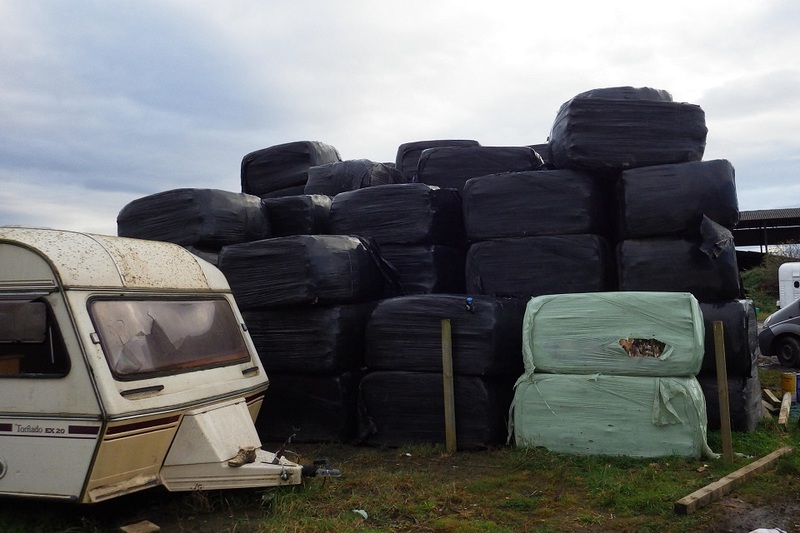 Criminals who illegally dump thousands of tonnes of baled waste have cost land and property owners in the North East an estimated £750,000 in the last year, according to the Environment Agency. The figure, which relates to the cost of removing waste dumped in fields and empty commercial properties lawfully, could be even higher if land is contaminated or insurance premiums rise as a result. Dumped waste is also a major fire risk. In a bid to stop waste criminals in their tracks, the Environment Agency is reaching out to property and land owners, commercial property agents, trade associations and local authorities. Their aim is to warn of the dangers posed by waste criminals and advise them, their clients and their members how they can better protect themselves. Waste criminals operate throughout the country, offering to remove waste cheaply and then dumping it in fields or empty warehouses. They tend to move to new areas as enforcement agencies become wise to their activities. We know it’s only a matter of time before they target us again so we’re sending out a strong message: Waste criminals are not welcome here and we’re doing everything in our power to deter and catch them. We can’t do it alone. We work closely with partners to share intelligence on illegal waste activity. And we’re encouraging everyone to do their bit: for property and land owners to be vigilant and better protect themselves and for all businesses, organisations and individuals to manage their waste responsibly, preventing it from getting into criminal hands in the first place. 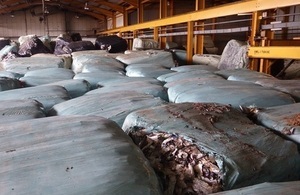 There have been 11 separate incidents of criminals making large scale dumps of baled waste on farms, industrial units and on a roadside in the north east in the last 12 months. The £750,000 figure refers to the approximate cost of lawfully disposing of this waste. There are around 4,000 commercial properties across the North East thought to be empty, which are owned by up to 1,500 businesses and organisations, including fund management companies and local authorities. The Environment Agency is also advising businesses and organisations of their responsibility to ensure their waste is managed appropriately. Anyone who produces, stores and manages waste is obligated to ensure waste does not cause harm to human health or pollution to the environment under waste under Duty of Care legislation. The Environment Agency also works with partners to share intelligence on illegal waste activity and to put in place contingency plans to reduce the risk from a small number of abandoned sites at risk of fire. Anyone who sees waste crime taking place is advised not to approach as these people can be dangerous. Report it by calling our incident hotline on 0800 80 70 60 or anonymously to Crimestoppers on 0800 555 111.